Looks: Dark green/ bluish buds in the background of amber hairs. Smell: pine, herbal, skunky. Broken up: Pine, lemon/citrus, skunky. Taste: Inhale has a sweet, pine, lemon flavor, exhale is reveals an extremely sweet, syrup, hash flavor. Effects: quick, soaring, sativa-like onset. Followed by a lethargic couchlock. Active medicine in small quantities, otherwise a very narcotic stain. 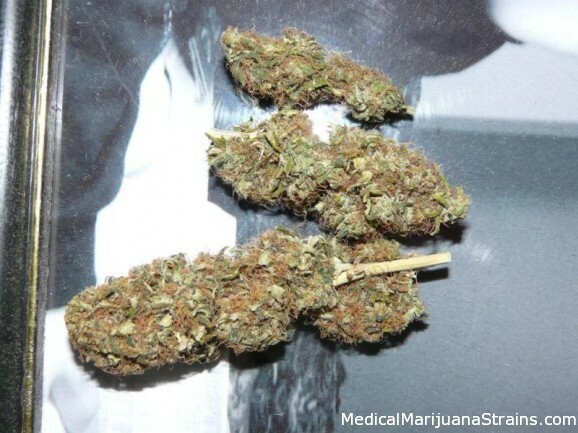 Good Strain For: insomnia, depression/anxiety disorders, creativity enhancement, appetite stimulation, overall relaxation.